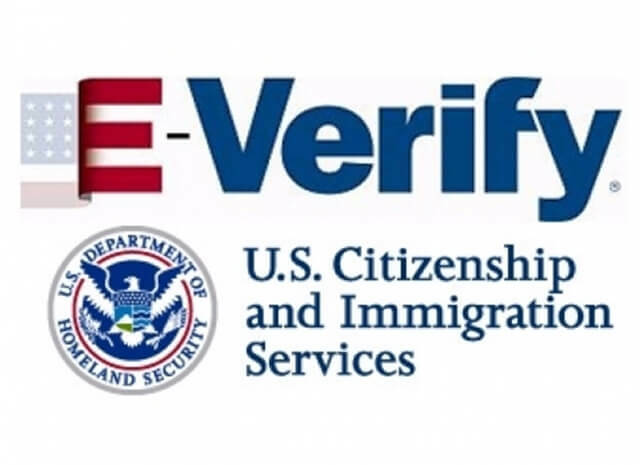 Yesterday, the US Citizenship and Immigration Services (USCIS) launched a new E-Verify website, E-Verify.gov, in order to streamline the employee identity and employment eligibility verification process for the US-based employers. The website would help the E-Verify enrolled employers check and confirm if their newly hired employees who are foreign nationals are eligible to work in the United States. The E-Verify website is designed as the only authoritative source to provide unambiguous information on electronic employment eligibility verification and the Form 1-9. The website facilitates access to the Form 1-9 which all employers recruiting or hiring foreign nationals to work in the US are required to furnish in order to verify their new employees’ identity, employment eligibility and work authorization. The USCIS’ new E-Verify website is equally accessible to employers, employees and general users. E-Verify.gov also details out employers’ responsibilities and employees’ rights in connection with the E-Verify program which entails tallying of an employee’s details with the data available to the US Department of Homeland Security (DHS) and the Social Security Administration. The user-friendly website also facilitates employers’ direct enrollment in the E-Verify program and allows individuals to access their myE-Verify accounts. As many as 800,000 employers have enrolled in the E-Verify program which has been a simple, free web-based system for them to ensure a legal workforce in the United States over the past decade. Enrolled employers, employees and registered individuals can access the new E-Verify website anytime and anywhere directly. The E-Verify program is currently available in all of the 50 US states. Currently, not all employers are required to enroll in and use the US government’s E-Verify program for employment eligibility and authorization verification. But, it is mandatory for those employers having federal contracts or subcontracts with the Federal Acquisition Regulation clause. Employers will have to use the E-Verify programs if it is made compulsory for them to obtain business licensing in their states. Furthermore, the federal courts rule in to impose the program on employers in some cases. In compliance with President Donald Trump’s Buy American and Hire American policy, the US Citizenship and Immigration Services wants all US employers to use the program to check and confirm their new hires’ identity and employment eligibility so that undisputed workforce can be maintained for the growth of the nation. USCIS provides technical support, training and customer service in employment eligibility verification. If F-1 students who have completed graduation in STEM choose to work with E-Verify enrolled employers in a STEM niche, they may be eligible for 24 additional months of optional practical training in the US.